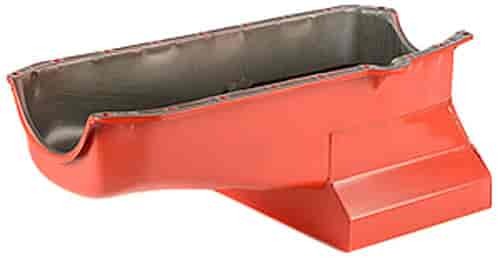 Proform's 7-quart low profile oil pans were designed to provide extra capacity while maintaining excellent ground clearance. These pans fit Small Block Chevy engines with a driver side dipstick and are available in a painted finish or chrome. They are 8" deep and require use of a Proform oil pump pick-up part number 778-66160. Does Proform 66164 fit your vehicle? Will this oil pan work for putting a 283 sbc in a 91 s10?